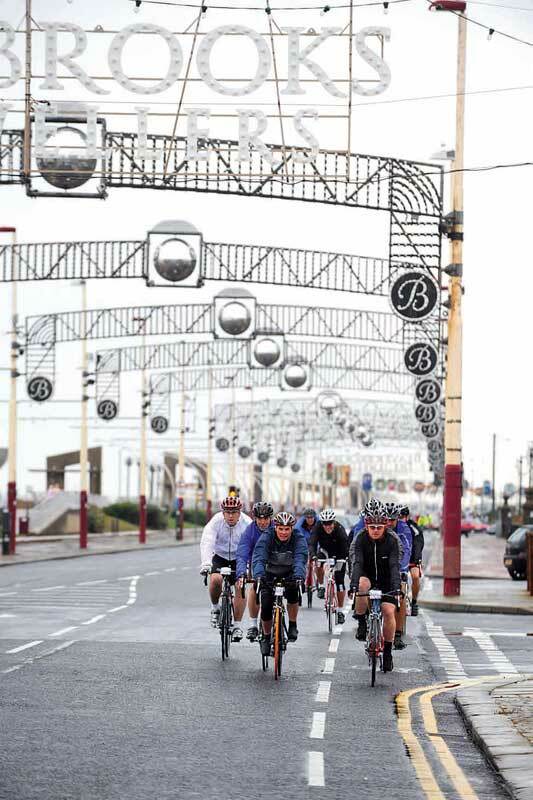 The inaugural Rapha-Condor Blackpool Sportive saw 250 riders set off from the headquarters at the Solaris Centre, New South Promenade. Although it was a wet start, the better weather, which was promised, did arrive and ended with a nice, dry sunny afternoon for all the finishers. The event was organised by Rapha-Condor club member and hotel owner Damon Warnes from Blackpool. 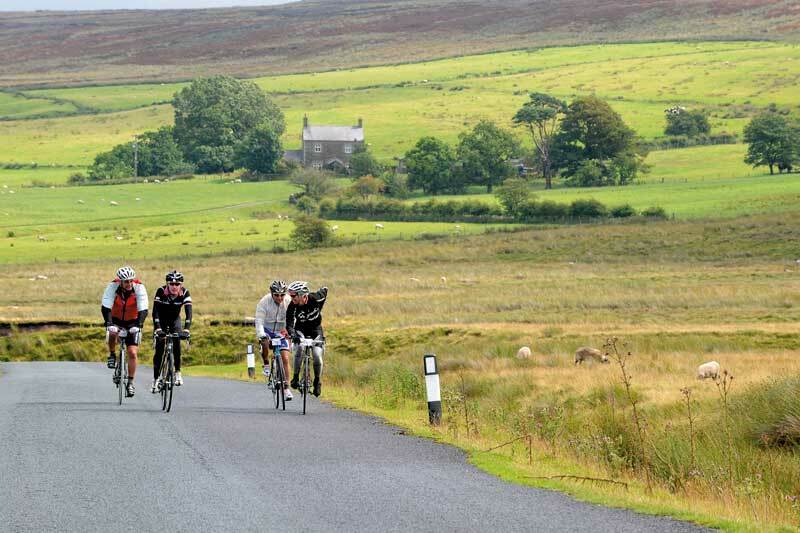 It was organised with a view to appeal to all categories of riders not just a sportive to punish riders with climb after climb – quite different from your usual ‘find every hill in the area and put them in’ events. Two routes were on offer. The short, flatter route of 58 miles had an optional eight mile extra loop with the climb around Beacon Fell to add in some more challenge. The longer, hillier route was 87 miles, which went towards the Trough of Bowland and around, Calder Fell. All riders started along the promenade and headed south toward Warton where they then turned to Kirkham and onto the beautiful Lancashire cycle network. There was a strong presence from the Rapha-Condor club along with some of the team members who threw down the gauntlet for a fast ride. The flat start and finish encouraged many fast times, setting the records for future years. 107 direction signs led cyclist through the route, with only two of these being tampered with, yet the light pink Rapha colour was hard to spot at a distance for some. Two of three promised feed stations and a BBQ at the race finish supported participants. Riders sat out in the sun and enjoyed music and stories told of fast times. Several sports masseurs were available at the finish and helped many riders recover from the day’s efforts. The tombola prize winners were drawn, with Michael Clark winning a £100 Condor voucher and Tim Eglinton winning a Rapha-Condor team strip. Being the first year the ride has been run, there was some serious feedback from riders on value for money, the lack of communication on minimal marshalling, no first food station and no timing systems. The organisers have assured us that all comments will be taken on board and actioned to make the next event more successful. Sportive organisers forget there are a lot of people that are just getting into these events and not everyone is a gifted climber. With that in mind we wanted to provide a day out that people could choose which route was within their ability. We realise there were teething problems with our first event but are now looking forward to planning next year’s event. The start had a good, flat run out of Blackpool, moving into some undulating terrain before climbing to the top of the ridges. Cresting the last climb of the day we could see the Tower in Blackpool, deceptively close-looking and tough to get back to given the strong headwind. 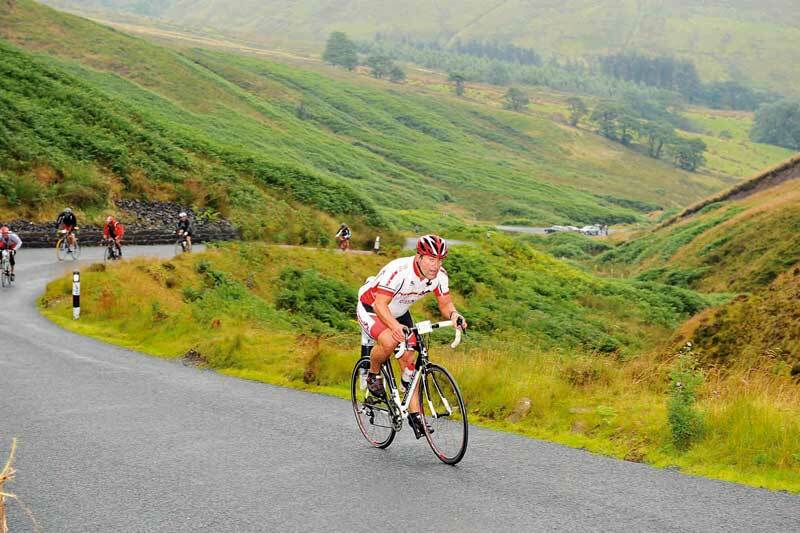 A well organised sportive with a good mix of terrain, and wonderful views from the tops of the ridges. Lives: CheadleI was looking forward to the ride, if not the weather at the start, and it was great to look round and see so much Rapha kit at the start. After Longridge we were on some brilliant cycling roads that I’ve ridden on for many years. The ride back was tough into the headwind and the tower never seemed to get any closer but it was still enjoyable. This was a rare chance to complete a flatter challenge and proved good preparation for the Pendle Pedal the following day. Climbs on the long route weren’t too bad but the last stretch from Lytham back to Blackpool was a test into the wind. Generally well organised but the signposts were a bit small and difficult to see and disappointing not to have electronic timing, perhaps next year. Arriving at the start in pouring rain and gusts coming off the seafront, I was adamant that I was still going to ride the longest route regardless. When the organiser informed us that the longest route had increased from 85 to 91 miles due to some last minute roadworks, I had a willpower failure and happily set out on the 66-mile route. Missing the first group containing all the Rapha-Condor team by five minutes or so, several riders in my group thought that they would catch them up and have a chat. After riding hard for the first 15 miles with no joy, I realised we had picked the wrong group to chase so I sat up and decided to enjoy the ride. 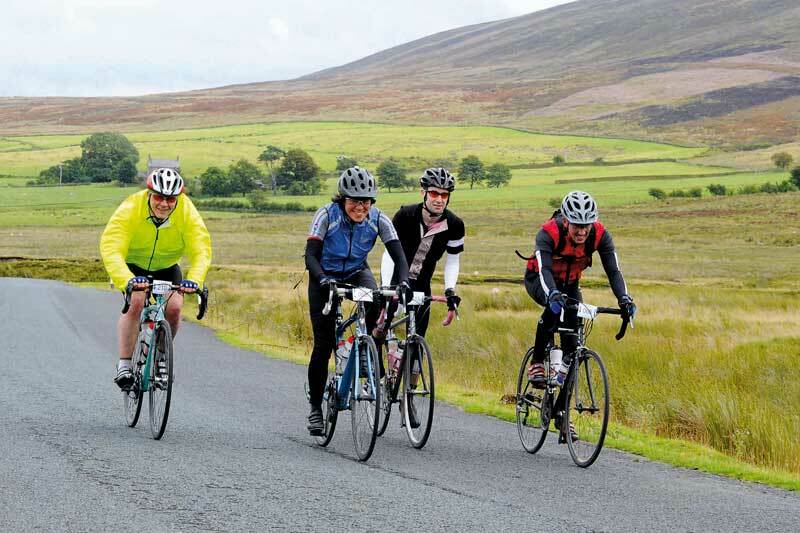 The course was designed as a flat 58-mile route with the option of an extra eight-mile loop containing the climb of Beacon Fell in the middle. The climb was quite a shock after the fast flat start but well worth it as the one-way system around the forest made the descent fun. Completing the loop of the forest and seeing riders approach the climb was a good feeling as I knew the climbing was over and it was back to flat roads. After a quick feed stop, it was back on the bike for what was going to be a fast finish. The last section of the course passed through the village of Elswick and if I hadn’t been so wet I would have stopped at Bonds Ice Cream parlour and spent the rest of the day there, but I was here to ride not eat. The last five miles were then spent hanging onto a group who came past flat-out, taking advantage of the unusually flat course and going for a time. I really enjoyed the course and didn’t have any problems but there were a few concerns raised among riders at the finish. Signage was a major bugbear and the lack of choice at the feed stop combined with no timing caused many to question the value for money of the event.